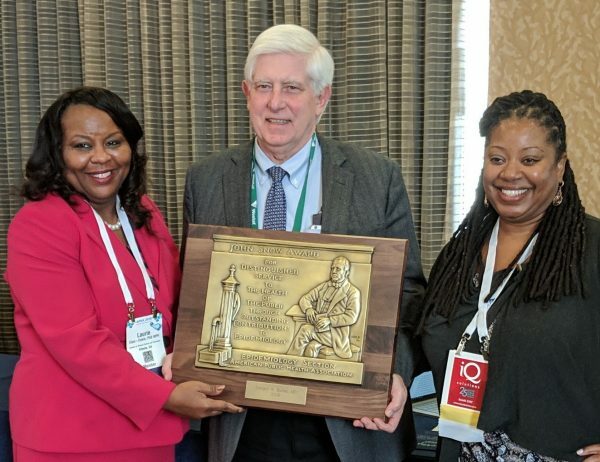 Dr. Donald S. Burke, dean of the University of Pittsburgh Graduate School of Public Health and Distinguished University Professor of Health Science and Policy, last week received the prestigious John Snow Award from the American Public Health Association (APHA) and the Royal Society for Public Health in England. The award, which annually recognizes an outstanding scientist for excellence in epidemiologic practice or research, was presented to Dr. Burke in San Diego at the 2018 APHA Annual Meeting & Expo. Awardees are chosen for their contributions to the improvement of human health or substantial reduction in burden of disease through innovations in public health practice, based on clear epidemiologic foundations or implementation of epidemiologic approaches to the solution of health problems. Their contributions are practical, explicit and applied, rather than theoretical or implicit. November 29, 2018 "University at Buffalo Student Wins National Honor for Research Poster" November 29, 2018 "Harvard: SHINE Awarded Grant to Tackle Worker Well-being Using Blockchain Technology"